Throughout high school, as well as at points during adulthood, many choose to take personality tests in order to help them figure out what job or career is best for them. If you’ve been wondering what career path is right for you, and thinking about attending trade school, you may consider taking a test such as the Myers-Briggs. The Myers-Briggs personality test is an especially popular test, because it breaks personalities into 16 distinct types. This provides far more detailed results regarding a person’s personality than other tests. If you take the time to do the Myers-Briggs test and answer the questions with real honesty, you might discover personality traits you may not have been aware you had, and these traits could lead you to a compatible career. The Craftsman is an Introverted Sensing Thinking Perceiving personality type, or ISTP. They tend to be artisans with an interest in the mechanics of things and in troubleshooting. They are flexible and logical, and look for the most ready solutions to problems they may face in the world. Self-directed and independent, they are good at moving quickly, adapting to changing situations, responding to emergencies, and taking action. They are more interested in putting tools to practical use than in the mere theory behind their use. These are all very valuable traits in a welder. The Mastermind is an Introverted Intuitive Thinking Judging type, or INTJ. They are analytical, good problem solvers, like to come up with innovative ideas, and enjoy improving the way things are done. They like logical, mechanical things that operate predictably, and are less comfortable with people and their emotions. They enjoy learning how things work, they seek knowledge, and are lifelong learners. Someone involved in welder training would benefit from these traits. The Architect is an Introverted Intuitive Thinking Perceiving type, or INTP. They are innovators, and are fascinated by logical mechanics, systems, and designs. They enjoy the theory behind it all, and are constantly exploring the mysteries of the universe. They are always seeking to invent their own solutions to complex problems, and are innovative by nature. Again, a welder can benefit from any of these personality traits. If you are interested in a career in welding, or find through a personality test that welding might be a good match for you, there are skills and traits you need to possess. You may already know you have some of these, and the personality test you take may reveal others. Welding training and experience can also help develop areas that may be weaker than others. Interpersonal skills: Most welders spend a lot of time working on their own, and may even be self-employed. Being able to work alone and be self-motivated is important. However, they also need to be able to effectively interact with other tradespeople and clients, as collaboration is often required to make sure a project is finished without incident and in a smooth manner. The Craftsman is the best at this. Problem solving: Troubleshooting, spotting flaws in the designs, knowing how to fix things, and finding solutions to problemsthat arise in the manufacturing process are all critical to success as a welder. Masterminds and Craftsmen are good at these things. Math and science skills: Math and science are skills based in logic. Estimating costs, knowing what metals and chemicals to use, and making calculations based on analytical reasoning are all used daily by welders. The better you are at them, the more successful you will be in this career. Architects are good at these things, as are Masterminds. Endurance: Physical and mental endurance are important for welders. They work in extreme conditions and must often be in uncomfortable positions for long periods of time to get the job done. They must also be able to maintain their focus and attention completely in these conditions to make sure the job is done correctly. Any of the Myers-Briggs personality types that are suited to welding can have good endurance, though the Architect and the Craftsman are especially skilled when it comes to endurance. Though the three Myers-Briggs personality types listed above have qualities that translate well into a welding career, this is by no means a comprehensive report; other personality types may also find themselves suited to the life of a welder. Personality tests can be helpful in providing direction and insight, but should by no means be considered an absolute authority on career choices. There are also many other personality tests other than Myers-Briggs that may be helpful in determining a career direction. 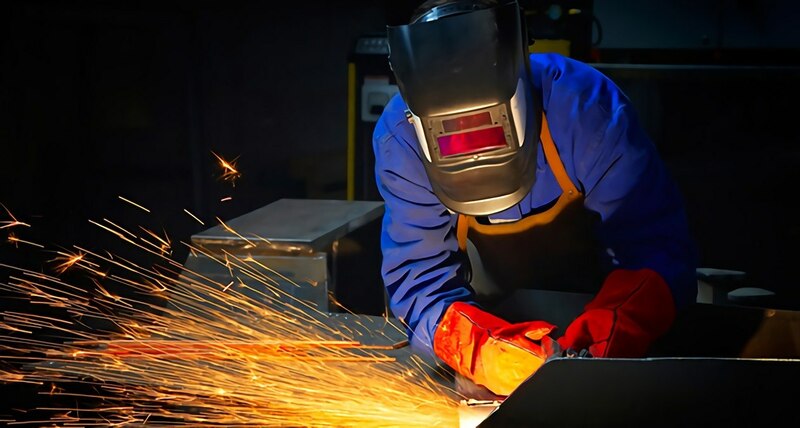 Many people of all personality types can find themselves in a rewarding career as a welder—the determination to succeed may be the most important quality of them all.